Twentysomethings today are redefining what this decade means and what making a positive contribution to society looks like. One reality is today's economy - you may find yourself a recent college graduate with no job prospects. As such, many twentysomethings are shifting away from career, to calling, looking for ways to impact the world. Or maybe for you, a career or job is what you do in order to… support the more meaningful work you love, like photography, music, brewing, or traveling.Likely you have found a tribe of like-minded people who are taking the journey with you, asking yourselves big questions like what to do with life, what does it mean, why should I settle down with a spouse and house so soon? These questions have huge ramifications for all aspects of society. 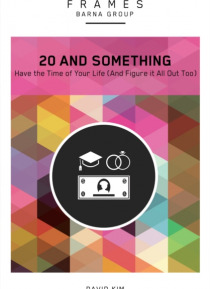 Twentysomethings need new ways of thinking about institutions and finding rootedness in a transient culture, while at the same time institutions need new ways of thinking about and incorporating twentysomethings. Join David H. Kim, the executive director of the Center for Faith and Work at Redeemer Presbyterian Church in New York City, as he walks through the uniqueness of this transformative decade.